Omari Hardwick has approached this whole Hollywood business the way he handled himself on the field as a defensive back on his way to becoming one of the All-Time Georgia Football Lettermen at the University of Georgia. As a Bulldog, he prevented wide receivers from catching the ball. As a rising Hollywood star dashing into the third season of the hit show Power, he’s intercepted a fairly big challenge, and has scored an impressive touchdown. And then some. Ghost is the complicated character he brings to life in Power, which last year became the most popular original series in Starz’s 21-year history. As the season was ending, the show drew a record 6.9 million viewers each week, making it the network’s most highly watched original series on record — a huge number for a network with 23.3 million subscribers. By comparison, the second season of Outlander, another hot show on the network, averaged a little over 1 million viewers during its second season. Starz now surpasses Showtime with subscribers, making it the No. 2 pay cable network in the business. 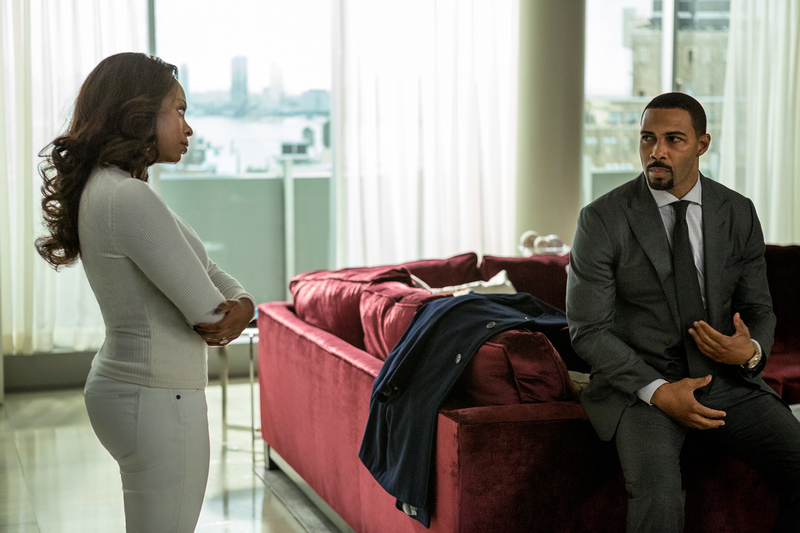 Power, a show that features a large African-American and Latino ensemble — including Naturi Naughton (as estranged wife Tasha) and Lela Loren (as his lover Angela Valdez) — helped power Starz to a huge deal with Lionsgate. Outlander does tend to grab the headlines, though. Hardwick’s own character is just as complex and interesting as the one he portrays on Power. He’s a guy who dominated on the football field in college, and went on to play for the San Diego Chargers — and after physical training was done, he ran over to the poetry lounge to perform. There was no staying inside the box for him. “If I could show all of my colors in five hours in a day, then you might have it,” Hardwick said. Truth is, Hardwick should have been a big star even before the Duvernay films. He’s been working in stuff like 2012’s Sparkle and 2010’s For Colored Girls and showing up in guest roles on everything from BET’s Being Mary Jane to CBS’ CSI: Miami and NBC’s Crossing Jordan since he started acting on film in 2001. Not that he’s not complaining about the snail’s pace in Hollywood. And though social media has tested him before, Hardwick credits that world drumming up the support — and eyeballs — for the series. Fans began consuming it On Demand, binge-watching the first season and eating up the second season while it was happening live. Fans are likely to watch the show live this season — word is out just how good it is. All of the characters in this series are flawed — Angela Valdez portrays an assistant U.S. attorney who is determined to take down the biggest drug dealer in New York City, but once she figures out that it’s the same man she’s in love with, of course things becomes complicated. Hers isn’t the only character grappling with a life that makes whatever us civilians go through look like peanuts. It’s the reason that the show’s executive producer (and co-star) Curtis “50 Cent” Jackson thinks the program works so well. Thing is, Hardwick has never been a one-note person. He pulled off being a football player, a brother in a notable socially-oriented fraternity, being a poet and daring to dream about launching a Hollywood career. His dream project? A biopic of famed poet Gil Scott-Heron’s life. Hardwick officially acquired the rights to develop his life story last year. Scott Heron’s Me and the Devil is even on the Power soundtrack. Maybe all of this stems from his family background. In the 1970s, his father, an attorney, was wearing dashikis and rocking an afro while attending Holy Cross with future Supreme Court justice Clarence Thomas. His grandfathers — both still living — were college graduates from Savannah. Hardwick is doing just that.